With the blessing of the Allah, the Albania Jamaat brought relief to 30 flooded families in the district of Shkodra. On the morning of 25 March, the Jamaat team – consisting of 9 Khuddam – left from Tirana and arrived in Shkodra City at 10:45am. 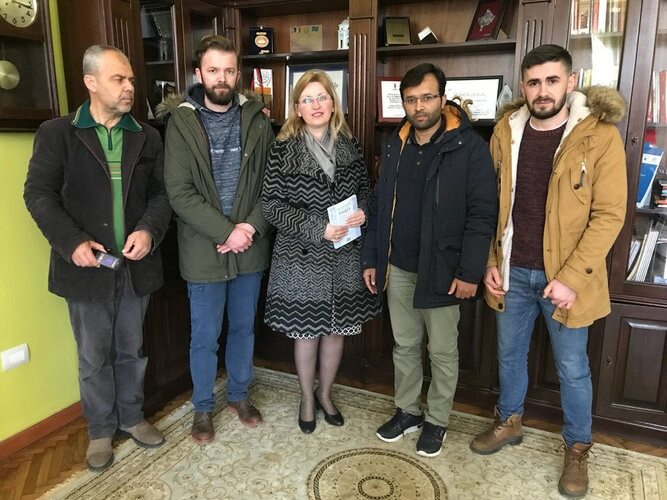 The Mayor of Shkodra, Mrs. Voltana Ademi, warmly welcomed the members of the Jamaat in her office. As they spoke, the Mayor briefed them about the severe situation caused by the floods in that province. 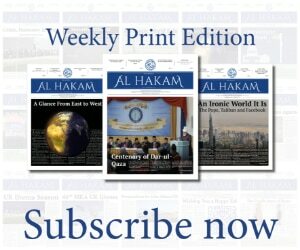 The President of Jamaat Albania said that the Ahmadiyya Muslim Community strives to help people in need, especially in remote areas of the country, because the belief of the Jamaat is that by helping the creation indiscriminately, we can achieve the pleasure of the Creator. The Mayor praised the Jamaat for their efforts and provided assistance in getting them to the remote areas which had been struck with floods. 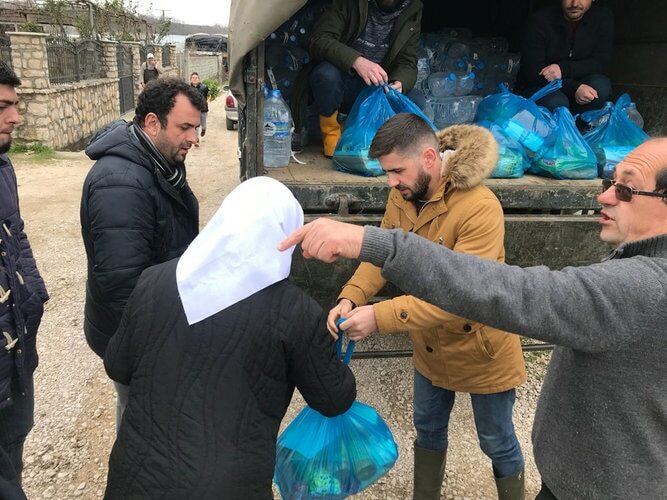 With the coordination of the Municipality of Shkodra the 9-man team met with 30 such families in the villages of Baks, Ças and Pulaj of Velipoja, Shkodra. Most families could only be reached by boat. They were given packets containing 14 kilograms worth of food items, with the packing citing the motto of the Jamaat “Love for All, Hatred for None”. The Municipality of Shkodra published the efforts with gratitude and gave coverage of the team at work on their official Facebook Page.